Fantastic value for money, Quickly assembles and collapses in under 5 seconds. Supperb grip and silent running, with rubber tyres. Lithium battery offering incredible power! The 2015 Powerhouse Freedom Terrain 36 Hole Golf Trolley combines style and elegance into a golf trolley that delivers exceptional value. The Freedom Terrain Golf Trolley is a freshly designed power assisted trolley made from lightweight alloy tubing finished in metallic gunmetal grey. A two action fast folding mechanism brings the trolley from its upright position to folded in under 30 seconds. When folded, it locks in position so that the whole trolley can be easily carried. The wheels use a quick release mechanism and can be removed with the flick of the wrist allowing the trolley to be stored in the smallest of spaces and car boots. The Freedom Terrain's main features are the strong, durable pneumatic tyres that provide exceptional grip and performance on the course. The rubber tyres inflated with an inner tube create a strong base from which the Freedom Terrain can easily power over all types of ground conditions in adverse weather. Featuring "Soft Start" technology controlled by a revolving wheel from the handle and a 28ah 36-hole battery you can guarantee that the Freedom Terrain is highly equipped to get you around even the most difficult 36 holes of golf. Select any type of battery including our Lithium batteries. Remember you can even purchase the trolley without battery. Select options under for your personal choice of battery. The Guarantee is for a period of 12 months. It becomes effective on the first day of purchase, and is available to the first purchaser or user. All manufactures limitations must be adhered to at all times. 1st 2 years - Full Warranty on Battery. 3rd Year - Customer pays 50% of Purchase Price (Battery only). 4th Year - Customer pays 70% of Purchase Price (Battery only). 5th Year - Customer pays 85% of Purchase Price (Battery only). If telephone advice fails, Damaged component or complete trolley must be returned to base (Ideas Solutions (Retail) Ltd), so that an examination can take place. All returns must be accompanied by a "Returns Note".  Components must be returned to base prior to a replacement being sent. Standard cover is a return to base guarantee. If any parts should become defective during normal use, will at the Company's Sole discretion be repaired or replaced free of charge. Transportation charges on parts submitted for repair or replacement must be borne by the purchaser. The end user will be responsible to remove defective part, and refit replacement part. Minimum transportation costs £2.50. At Powerhouse Golf, we offer a full after care and repair service. We hold stock of every part for all of our trolleys and offer an unrivalled in-store repair service. 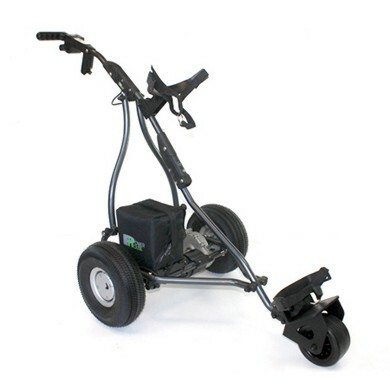 At Powerhouse Golf we offer a range of accessories designed to fit the Freedom Terrain Electric Golf Trolley.